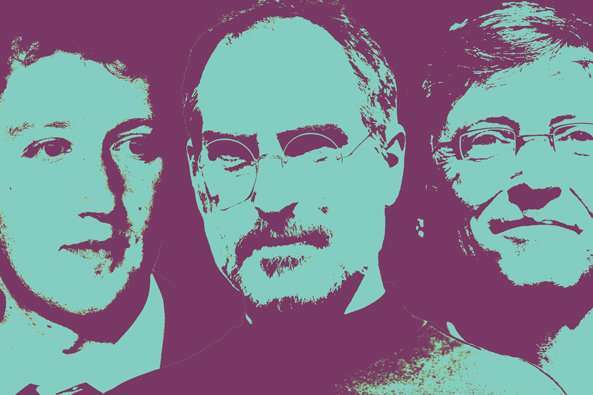 Forget what you've heard about 22-year-old wunderkinds, sitting in the corner offices of their wildly popular Silicon Valley startups—if you want to find the most successful entrepreneurs, you have to go back a few decades. According to a working paper from MIT Sloan professor Pierre Azoulay and Ph.D. student Daniel Kim, the average age of entrepreneurs who've started companies and gone on to hire at least one employee, is 42 years old. "If you knew nothing else, and you had two identical ideas, one proposed by a very young person, one proposed by a middle-aged person, and that's the only thing you have to go on, you would be better off—if you wanted to predict success—betting on a middle-aged person," Azoulay said. To find out the correlation between age and entrepreneurship, Kim and Azoulay went to the government, specifically, administrative data from the Census Bureau's Longitudinal Business Database, and Schedule K-1 business owners data from the Internal Revenue Service. The team looked at ages and startups in areas like California, New York, Massachusetts, and specifically Silicon Valley. 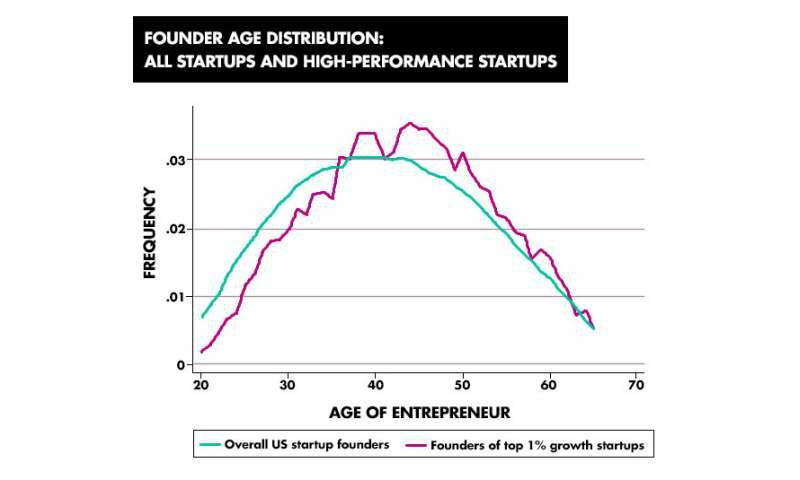 The closest any founder age got to "young" was in VC-backed firms, where the average age was 39 in New York. Similarly, the average founder age for one of the "youngest" technology sectors—in this case wireless telecommunication carriers—was 39 years old. While that might come as a shock—at least to the 20-somethings looking to start companies and the venture capitalists looking fund them—Kim said for economists, that idea shouldn't be much of a stretch. "In theory, we know that with age a lot of benefits accumulate," Kim said. "For instance you get a lot of human capital from experience, you also get more financial resources as you age, as well as social connections, all of which will likely boost your odds of success as an entrepreneur." There are other ways of getting information about founders and businesses, such as LinkedIn, Azoulay explained, but Census data "gets a lot closer to the ground truth than anything else. Everything else is a selected sample." "It's not just the Census data, the key thing is it's Census data matched to IRS records," Azoulay said. "People had access to the Census before, but they had no way of determining who's an employee and who's a founder. Now we can do that, this is the first time we can do that." The team collaborated with Javier Miranda of the Census Bureau, and Benjamin Jones, professor at Northwestern University's Kellogg School of Management. Many businesses are started with the intention of being successful, but also staying small—think a drycleaner or pizza shop. "There's nothing wrong with that," Azoulay said. "But when you're talking about entrepreneurship, what you conjure is the image of someone who's trying something with the ambition to grow at the time in which he or she starts." "There's been no agreement in terms of how you define an entrepreneur; that's been a challenge," Kim said. "We had the opportunity to combine Census data and IRS data that allows us to actually pinpoint ownership of business, combined with people that actually are in the business on day one." "The thing I think is cool in our paper, is it manages to do those two things at once: to find founders and their age, for a set of young companies that most likely have the ambition to build something meaningful at a time at which they start," Azoulay said. "The one thing Census doesn't have is good data on education. We can't tell you the founders with Ph.D.s, or a college education. We don't know that. We see a little bit about your experience," Azoulay said. "That's part of what age is about, you know what's happening in the industry, you understand the problems." That's a lesson for both founders and funders, Azoulay said. Right now some ideas that are deserving of funding might not be getting it because their 37-year-old founders are labeled as washed out. That's not to say there aren't some young people who've created "very robust, very large successful businesses," Azoulay said, but that also doesn't mean they're not going to get better with age. 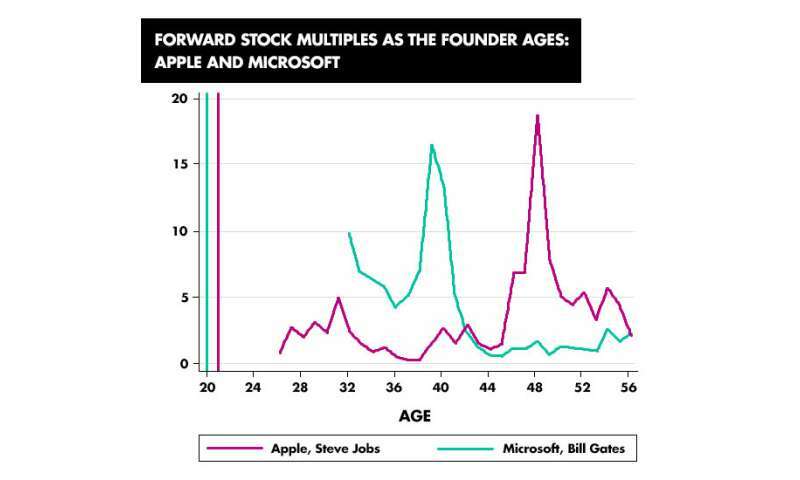 Bill Gates and Jeff Bezos, for example, had more success as 50-year-olds than as a 20-year-olds. As for those 20-year-olds looking to be the next Mark Zuckerberg, Kim said they shouldn't be discouraged by the data, and instead should be confident that they can still be successful and part of improved entrepreneurship. "If you're 22 or maybe just coming out of an MBA program, and there is this social perspective that you should be an entrepreneur right now, rethink that, because you might have a great idea but you might not have the right skills or experience to really propel that idea," Kim said. "Think about career paths as options, not just as absolute paths."